Did you ever have an urge to grind your own coffee? I'm not certain about this, but it looks kind of like a coffee bush. I don't like coffee (weird I know) so you'll have to confirm that. I'm sure there are plenty of others out there with them. ThNks Potty Bob just checked it out and pretty sure you’re right. Yes the berries look like currants, but what is meant by 'Native Currant'? Currants (Ribes genus) leaves are quite different. They are lobed, while the ones in the picture are lancelot. I think that is why Potty Bob said 'Native' currant. But what does that mean? Canthium latifolium doesn't look like the photo either. What else out there are people calling 'Native Currant'? Please don't just settle on 'Native Currant' until you find out what plant that actually implies. 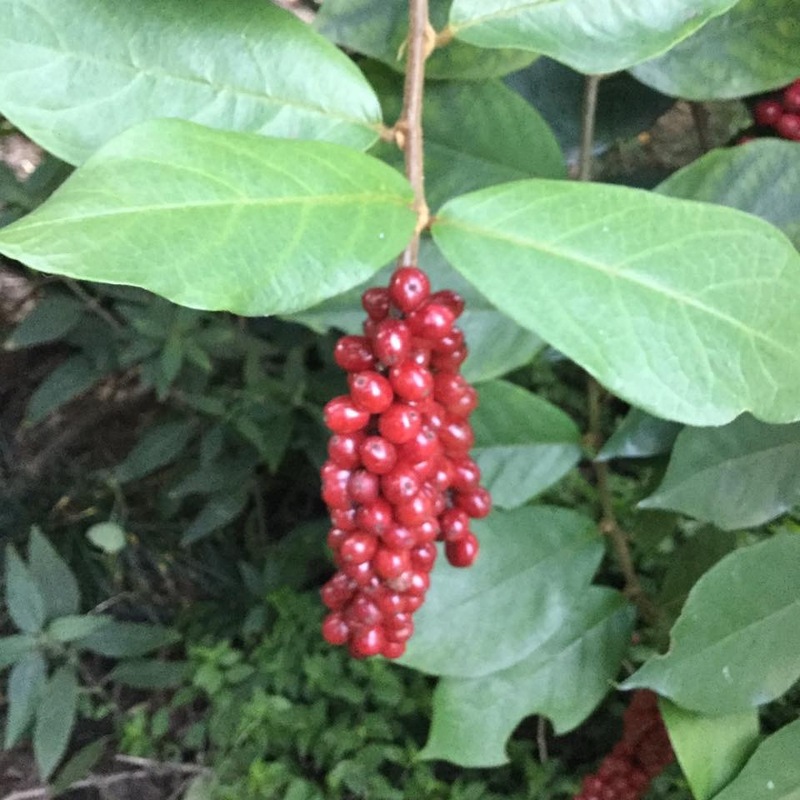 Because of the likeness of the berries to so many others and the variability in their levels of edibility (yummy to deadly), the leaves and habit are very important. Maybe antidesma erostre ,'wild current ' . Or there is another that's similar . The berries will ripen intermittently ,and are very edible . Bush tucker .